Google I/O is coming up in a few months. It may seem far away, but it'll be here before you know it. If you applied for a ticket, you're about to find out if you won the opportunity to give Google $1,150. Just check your email. Google is notifying the winners today. As in past years, I/O 2017 tickets are being distributed in a raffle. If your name was chosen, you'll have a confirmation email in your inbox letting you know that your card has been charged. The email also includes a link to view and modify your I/O profile. You can see the email below. 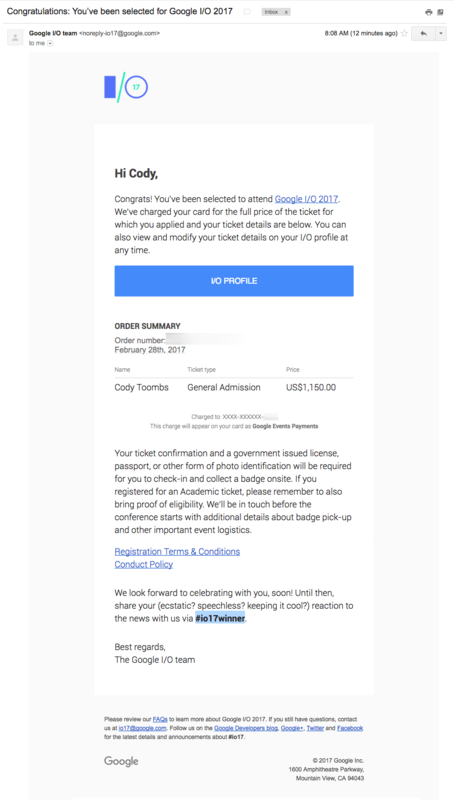 If for some reason you don't want to go to I/O after all, you should be able to contact Google and get your ticket purchase refunded. 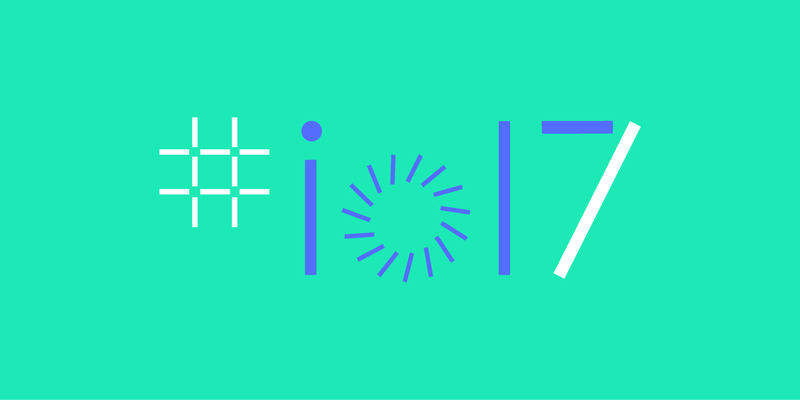 Google I/O 2017 runs from May 17th to 19th, and it'll once again be at the Shoreline Amphitheater.